Bread pudding: sweet, sticky, syrupy goodness. Every bite is the perfect balance of creamy sauce, chewy bread and just a hint of crispy, crunchy bits of baked crust. It’s every carbohydrate-lover’s dream dessert, and with bread in the title you could even be forgiven for thinking that it could be “healthy” (minus all of the sugar, of course). Well, it’s time to combine dreams with the reality that I have a high-protein, low-fat, lower-carbohydrate recipe to share with you for my very own Bread Pudding and it’s free of added fats and sugars! Weekend baking project, anyone? This would make a perfect dessert or even a great addition to a weekend breakfast or brunch! 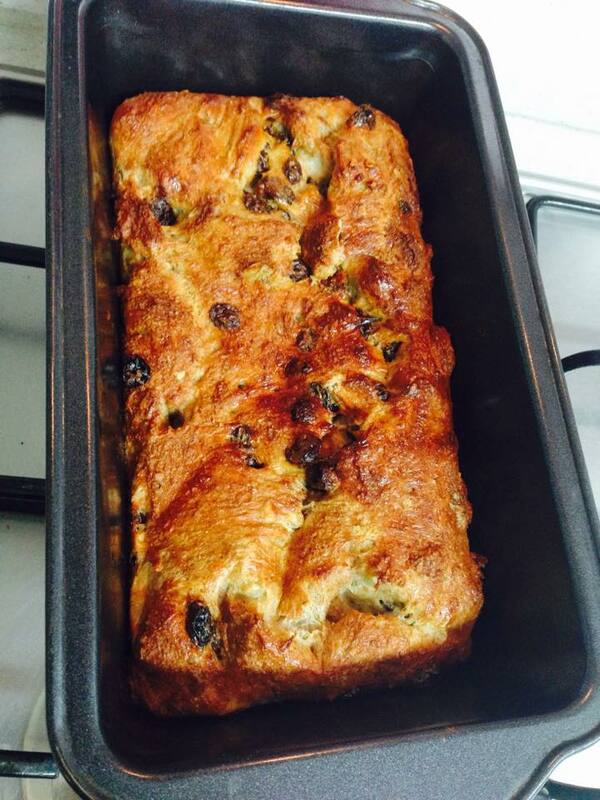 1) I don’tdidn’t even like bread pudding (not until I made my own version, that is). Has anyone else had the experience of only liking a certain dish if you prepare it yourself? Or perhaps only liking a version of a dish prepared by one particular person, i.e. your spouse or your mom? Has anyone gotten their kids on board with eating foods they ordinarily wouldn’t touch, just by involving them in the preparation process such as picking out foods at the grocery store and/or helping them to prepare the meal? My (now) four-year-old (!) gobbled up some Flourless Chocolate Chip Zucchini Oat Brownies from Ambitious Kitchen today – he was the chief (supervised) Zucchini Grater and Chocolate Chip Sprinkler (two very important jobs for this recipe). It turns out that I’m very much like a four-year-old in this regard – I gobbled up this recipe where I have turned up my nose at others’ offerings of bread pudding. I don’t even give bread pudding a second look if it shows up in a dessert menu (I’m scanning for cheesecake instead!). And that’s not about to change now that I know I can make a much better-for-me version at home! 2) This post has been 3+ months in the making! This recipe even pre-dates the actual Golden Graham Girl blog itself. Back in April, I attended an authentic Cajun Cooking Class hosted by a wonderful Louisianan couple, Carla Loup Greene and Todd Greene (one of the many great things about the expatriate community we’re experiencing in South Korea is the willingness of other expats to share the cuisine of their home countries – we haven’t come up with a truly representative Canadian dish and we don’t want to embarrass ourselves by making poutine). I learned how to make (or at least attempt) a lot of great, flavourful dishes. And not only did I learn how easy it is to make bread pudding, but I also learned that maybe it’s not such a bad thing that I’ve bypassed it in the past: the original recipe is pretty heavy duty from a calories/fat/sugar perspective, featuring white bread, butter, heavy cream, whole milk, whole eggs AND refined sugar (all things that make it taste absolutely wonderful, but all things that can be hard on your system and would make it a once in-a-blue-moon kind of treat, for me at least). And you know that I’m all about advocating for a balanced approach with regular indulgences but I also like that there are substitutions to recipes that can make them a little less indulgent and therefore a little more frequent. So, what have I done to update this dish? I swapped a multi-grain bread for the white bread (any whole grain or low-carbohydrate bread of your choosing will do), replaced the dairy (butter, cream AND milk) with creamy yet low-calorie unsweetened almond milk, substituted just egg whites for the whole eggs and added in the sweetness and “thickness” using a flavoured whey protein powder. 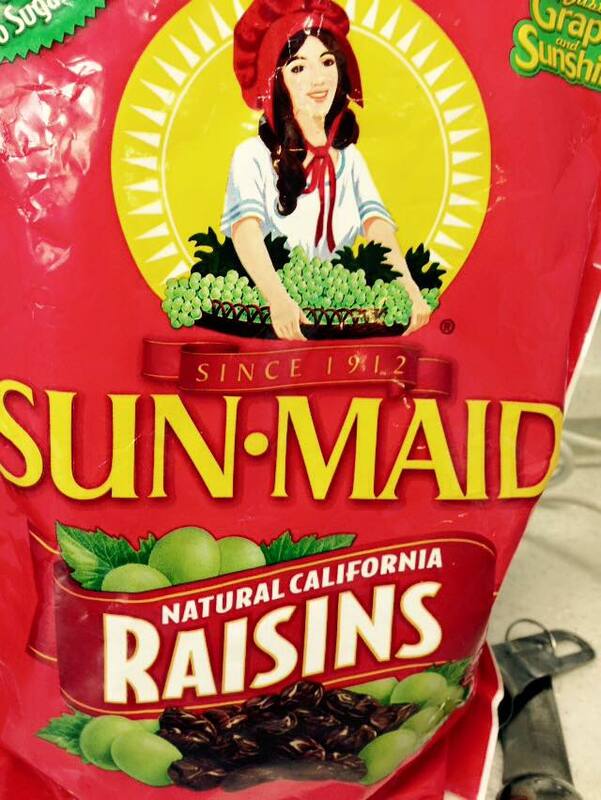 The remaining seasonings (spices and sea salt) are the same as the original recipe, and the raisins are optional as always (I don’t claim to understand you raisin-haters but I know you’re out there. 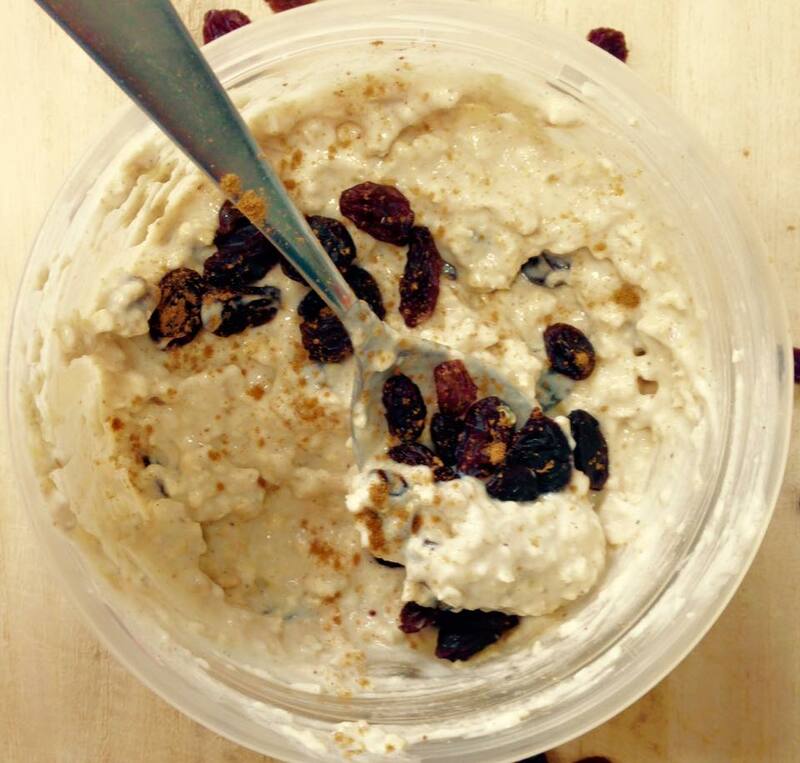 I personally love the sweet, plump juicy raisins and the flavour and texture they impart to this dish, but if you’re not a raisin fan in the base case, I’m not out to convert you). The recipe is now so low-fat that you might consider serving it alongside eggs (and maybe even bacon) or topping it with whipped cream (dairy or coconut cream) or butter (or nut butter)! Nothing but grapes and sunshine! I’m a lover – how about you? Just like the original recipe, you’ll need to plan ahead for this recipe. Leave the slices of bread out overnight to dry – you want slightly stale, dry bread to maximize its ability to soak up the wet ingredients and get really dense and flavourful. In a pinch, you can also cut or tear the bread into cubes and lightly toast in a toaster oven or regular oven to dry them out. Day-old dry bread cut into cubes and ready to be turned into pudding! This bread pudding has all of the sweet, sticky, syrupy goodness of the original but with no added fats or sugars! Every bite is the perfect balance of creamy sauce, chewy bread and just a hint of crispy, crunchy bits of baked crust. 2. 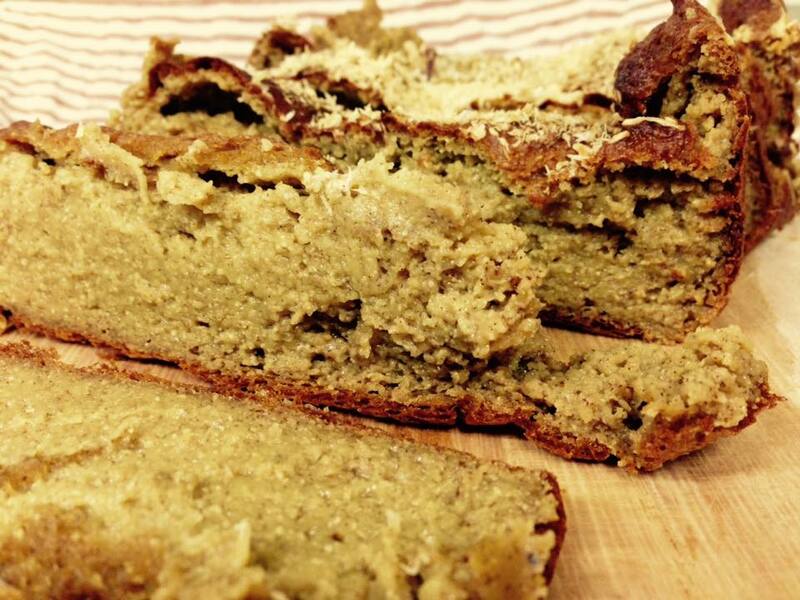 Grease a standard loaf pan with coconut oil, butter or non-stick cooking spray OR line with parchment paper. 3. 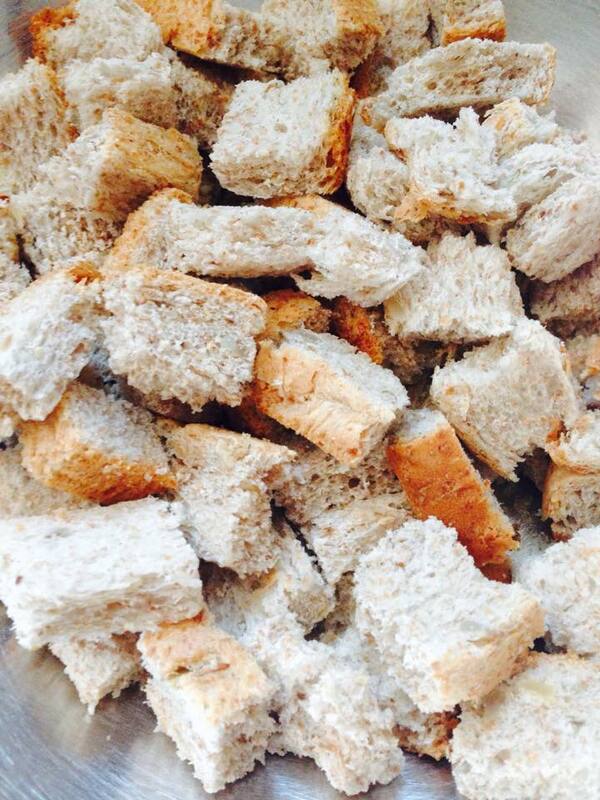 Tear or cut the bread into small (one-inch or two-centimeter) cubes and place in a large bowl. Set aside. 4. 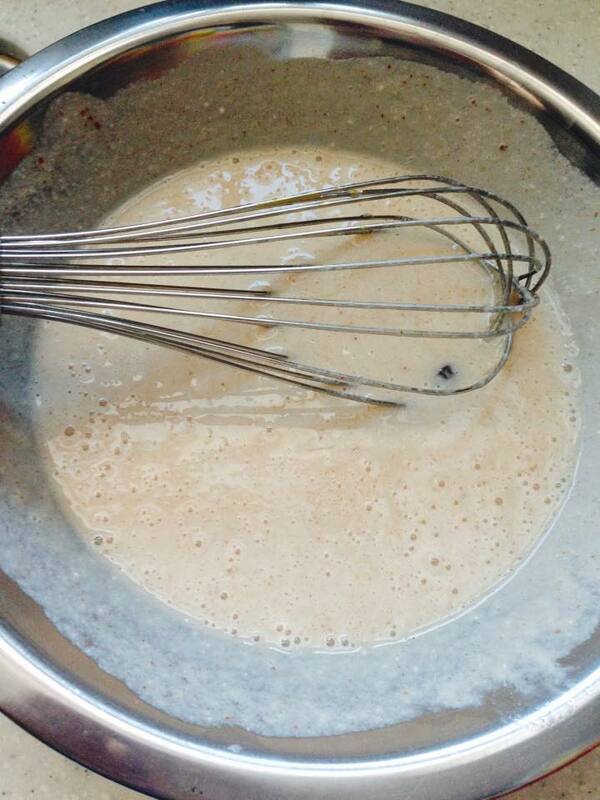 Whisk the remaining ingredients in a separate medium bowl until fully combined. 5. If using raisins, let the mixture sit at room temperature for 15 minutes to allow the raisins to absorb some of the moisture and “plump up.” If not using raisins proceed to step 6. 6. Pour the mixture onto the bread cubes and stir to combine. Allow the mixture to sit at room temperature for an additional 15-30 minutes, until the bread has absorbed most of the liquid. 7. Transfer the bread mixture to the prepared loaf pan and bake until the center of the bread pudding is set but still soft, 20-25 minutes. 8. Let cool in pan on wire rack for 5 minutes before serving. Enjoy as a dessert, a side or just on its own! This dish pairs beautifully with an egg dish for breakfast or brunch or can be served as is or with toppings of your choice for a dessert. I personally love a touch of butter and a drizzle of sugar-free syrup. Whisk together the remaining ingredients and let stand at room temperature until the raisins (if using) start to plump up. 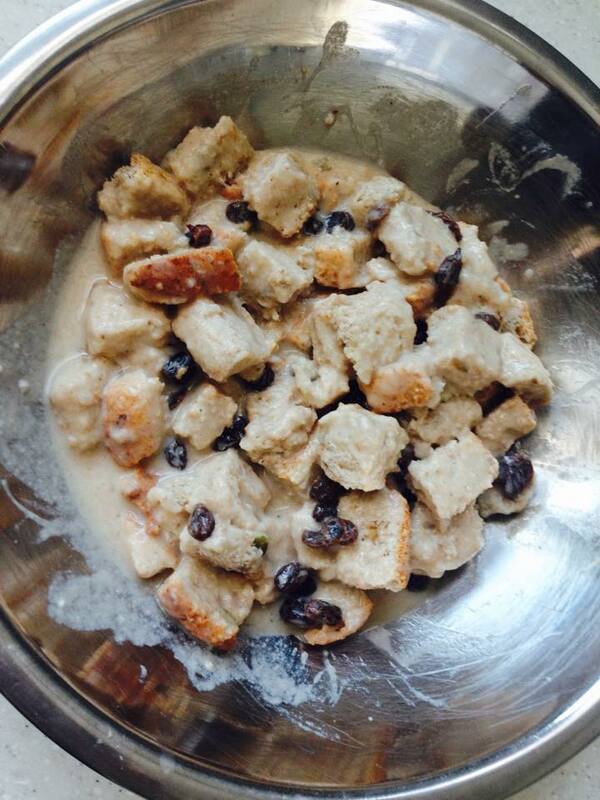 Pour the mixture onto the bread cubes and let stand again until the bread has absorbed most of the liquid. Bake until the center of the bread pudding is set but still soft, 20-25 minutes.